･Vehicle body takes lot of stress and lateral load under cornering. 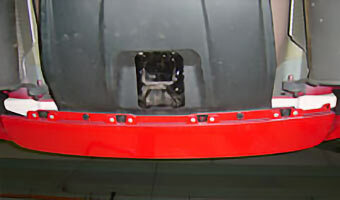 Rear Frame brace adds stiffness to the rear part of the body to prevent body torsion. Rear Body strength improves stability at the exit of the corner to the acceleration and prevent tail end to lose traction.